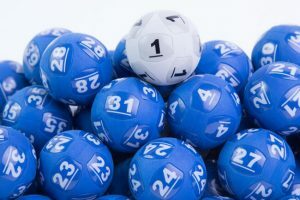 Powerball in Australia is operated by different lottery governing bodies depending on the state in which you buy your tickets. 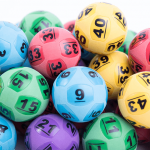 These include: Tattersalls in Victoria and Tasmania, Golden Casket in Queensland, Lotterywest in Western Australia, NSW Lotteries in the Australian Capital Territory and New South Wales, and the South Australian Lotteries in South Australia. How do you find out if you’ve won Powerball? The numbers you selected on your ticket should match the seven regular numbers and one Powerball number drawn. There are nine prize divisions in total, each with a slightly different winning combination, so be sure to check your ticket carefully. 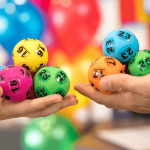 If you do win any of the Powerball divisions, be sure to print a copy or two of your online entry and then inform the lottery operator where you purchased your ticket eg: theLotter. The next Powerball draw is now open – beat the queues and buy your tickets online today. If you’re also looking for the very latest results you’ve come to the right place. At Powerballresults.com.au our results table above displays the entire week’s winning combinations, including draw numbers and dates for all current and previous Lotto games. Q: How old must I be to play Powerball? A: You need to be at least 18 years old to purchase any lottery tickets. Q: Do I have to be a citizen or resident of Australia to play Powerball? A: No. You can play even if you are not a citizen and resident of Australia. Q: How do you play Powerball? A: Powerball is about choosing SEVEN different numbers from 1 to 35, and a EIGHTH number, your Powerball, from 1 to 20. If you choose the correct eight numbers drawn, you will win or at least share in the major prize. Q: When can I play Powerball? The Powerball draw is broadcasted on channel 7TWO approximately at the time of draw and the results are generally available by 9:00pm (AEST). To be sure, check your Powerball ticket to see when your game is drawn. Draw closing times are almost the same for most states: Thursday at 7:30pm. For South Australia, the draw does close earlier at 7pm. theLotter closes at 6:30pm (AEST). Q: What’s a “quick pick” or “auto pick”? A: It’s an auto option generate your lotto, Powerball or lottery numbers randomly for your entry. Q: What’s a Jackpot or rollover? A: A rollover or Jackpot means the prize money is rolled over (or carried over) to the next draw because no one won that week’s draw. The prize money from the previous draw is retained and more is added in each succeeding draw. This is the reason jackpot prizes increase. The jackpot can be rolled over or jackpotted as many times as required until someone wins. Q: Do I have to pay tax on my winnings? A: No, your Powerball and lottery prizes are tax free in Australia. However, if you’re not a resident or citizen, it’s your responsibility to follow up your own country’s tax requirements. Q: Can I use a credit card to buy Powerball tickets? A: Yes, you can purchase your Powerball, lotto and other lottery tickets online right here and pay for your entries with a credit card. Q: Can I remain anonymous if I win the jackpot prize? A: Yes, it is possible to remain anonymous after a Jackpot win, however this can depend on your state’s local laws and the steps you take after winning first prize. For instance, you can hire a lawyer to review your local laws and create a trust so that a trustee can claim the prize on your behalf. So you like playing Powerball and why not! It’s a great game, very exhilarating and lots of fun. 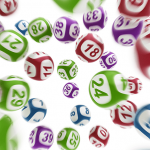 A winning entry combination of all high numbers or all low numbers is a very uncommon occurrence and in fact only happens less than 3% of all draws. An ideal combination would be to select three or four high numbers (eg: 20-35) and three or four low numbers (eg:1-20), as combinations like this are drawn way more often in almost 50% of cases. Try selecting a Powerball number that has won previously. Why? Quite often a Powerball number that has been successful in a previous draw over the last 6-8 weeks will be selected again sometime in the next 6-8 draws. Don’t select all numbers in one group (i.e. all the 20s, 30s or even single digits). The odds of those numbers winning are way less than an even spread of numbers between 1 and 35. Many players of Powerball and Lotto generally are said to use anniversaries and birth dates for their numbers. As a result, numbers 1 to 31 are used heavily as they can correspond to days of the month. This can often result in more than one winner, that is if they win at all. Since winning numbers are usually a mix of both high and low numbers, using calendar dates only can lower your chances of winning. If you are going to use dates, make sure you include at least one or two high numbers between 31 and 35 to evenly distribute your selections and improve your chances of winning. Avoid selecting all odd or all even numbers as this combination also has very remote chance of winning a major prize. If you’re serious about your Powerball games, there are a number of computer software options that can be used to help in selecting your entry numbers. This type of software can help you keep track of previous winning numbers. And you can also analyse the chances of your numbers winning, but be prepared to outlay a few dollars for products of this type. Remember, any choice that provides the best chance of winning occurs more often than the choice with the worst chances. This is why you need to play the probabilities. Whilst each number has an equal chance of getting picked, you can improve your odds if you examine and use the numbers that win more frequently. Purchase your entry in the next Powerball draw online today.